Any students interested in Leasing should talk to Angela! How do I schedule a lesson?We schedule lessons over the phone. After school and Saturday lessons are at varying levels, and we will schedule according to age, ability, and availability. We offer two types of lessons, semi private and group lessons. Students typically ride once a week, but you may sign up for multiple lessons depending on availability. At what age can my child start?We start our students here at five years old. 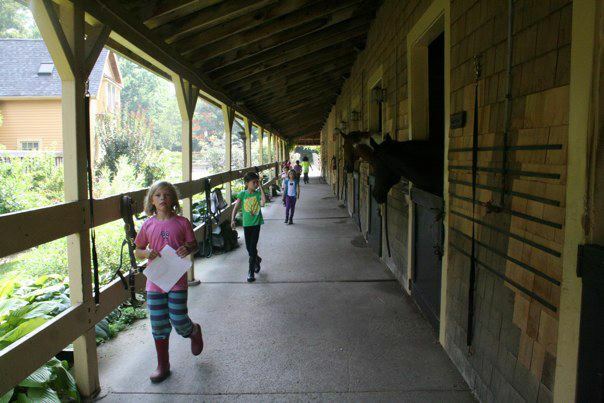 We can also accommodate some smaller adults, but because we are primarily a children’s program, our horses are not large enough to carry riders weighing 180lbs or more. Where can I watch my child ride?We have an observation room attached to the indoor, and bleachers in front of the outdoor ring. The barn where the students tack up gets crowded and dangerous when parents and siblings are in there, so that area is off limits. Can I visit the other horses while my child rides?HORSES BITE! Please ask a staff member to assist you when patting horses. Stay out of reach of the horses as you pass them. Never approach a horse by yourself. What do I need to wear to my lessons?You are welcome to borrow a helmet for your first lesson, but you will want to buy one after that. You also need to wear long pants, and leather paddock or tall boots. All of these can be purchased at Dover Saddlery in Wellesley Center. You will also need to wear form-fitting clothes, gloves, and tie your hair back. How long will I be mounted on the horse? 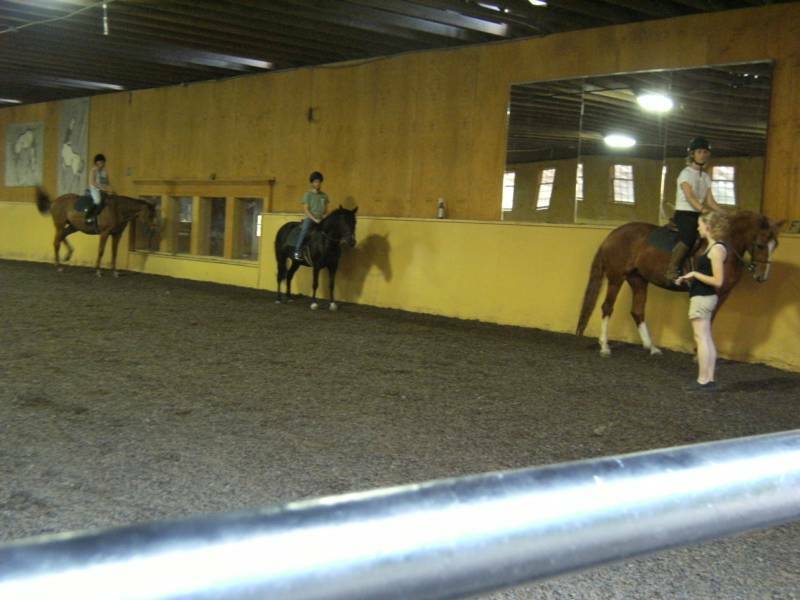 Semi-private lessons are ½ hour and have two riders per class. Beginners and intermediate riders should expect to be mounted for 2/3 to ¾ of their lesson. Please plan to be at the barn 15 minutes before and after your lesson for tacking up and cooling down your horse. What happens in extreme weather?We very rarely have to cancel lessons, and we will put an announcement on the message machine if that happens. You can also add your email address to our email notifications for cancellations in extreme weather. Simply email sage_farm@yahoo.com and add the students name and days they ride in the subject line. In extreme cold, heat, or lightning, the instructors may choose to have a barn lesson. These are opportunities to cover horsemanship we do not have time to cover in regular lessons. Barn lessons are the same price as mounted lessons. How do I pay for lessons?Simply bring cash or check to your first lesson, $75 for 1/2 hr semi-private lessons. If you like the program, and want to sign up, we will bill you monthly, for the month ahead. If you need to cancel, please call the office with 24 hours notice and we can schedule a make-up lesson if there is availability . Make up lessons are not carried past 30 days and are not guaranteed. “No shows” will not be rescheduled. If you are going to miss multiple lessons during a month, it may not be possible to make them all up, so instead you may hold your spot with a $40 hold fee per lesson missed. Any payments received after the fifteenth of the month should accompany a late fee of $20. 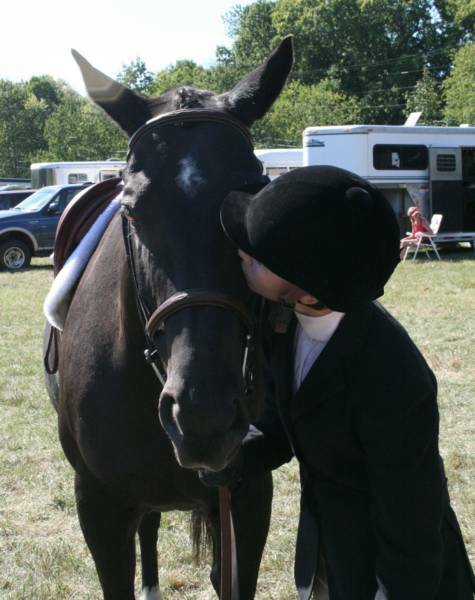 How can I thank my wonderful horse after my lesson?Horses love a carrot or apple after their lesson. You can give them their treats by hand or in their grain bucket after your lesson! Payment InformationEnvelopes with your child’s name, dates they are riding that month, holiday information, and payment amount are out at the end of each month for the following month. The envelopes are next to the lesson book in the tack room. Please remind your child to bring them home. Payment is due by the 15th of each month. Payment received after the 15th will result in a $20 fee. If you misplace your envelope you can always add up how many times your child is riding and drop it off in the envelope box in the tack room. Thank you for choosing Sage Farm! LESSON STUDENTS REQUIRE A RELEASE FORM BEFORE THEY CAN RIDE. FORMER CAMP STUDENTS STILL NEED A SEPARATE RELEASE FORM FOR THE LESSON PROGRAM. PLEASE FILL OUT AND BRING IT WITH YOU TO YOUR FIRST LESSON. PLEASE USE OUR MAKE UP CHART IN THE TACK ROOM TO SCHEDULE MAKE UP LESSONS!